The 5th edition of the Global Green Economy Index (GGEI) is a data-driven analysis of how 80 countries perform in the global green economy, as well as how expert practitioners rank this performance. Since its launch in 2010, the GGEI has signaled which countries are making progress towards greener economies, and which ones are not. The comparison of national green performance and perceptions of it revealed through the GGEI framework is more important than ever today. Sweden is again the top performing country in the 2016 GGEI, followed by the other “Nordics” and Switzerland, Germany, and Austria. Amidst these strong results, the GGEI identified areas where these countries can improve their green performance further. These opportunities – focused around innovation, green branding and carbon efficiency – could propel their national green performance forward even more in the future. Developing countries in Africa and Latin America–including Ethiopia, Zambia, Brazil, and Costa Rica– also perform well in this new GGEI edition, ranking in the top fifteen for performance. While Brazil and Costa Rica receive similarly strong results on our perception survey, Ethiopia and Zambia do not, suggesting a need for better green branding and communications in these two African countries. Like in 2014, Copenhagen is the top green city, followed by Stockholm, Vancouver, Oslo and Singapore. This new GGEI only collected perception values for green cities as lack of data availability continues to impede our efforts to develop a comprehensive green city performance index. Given the significant role of cities in the global green economy, city-level data development is an urgent priority. No country in Asia ranks well for performance on this new GGEI, with the exception of Cambodia, which was the most improved country as compared to the last edition, rising 22 spots to 20th overall. China, India, Indonesia, Japan and South Korea do better on the perception side of the GGEI, but continue to register concerning performance results. While many European Union (EU) members perform near the top of this GGEI edition, others including the Czech Republic, Estonia, Poland, Romania and Slovakia rank near the bottom. These results are worrisome and suggest uneven national green performance across the EU. Many of the countries with high annual GDP growth today rank poorly on the GGEI, further highlighting the limits to GDP as a growth indicator. These countries are mostly in Asia (Malaysia, Thailand, Philippines) and Africa (Nigeria, Tanzania). Countries with a high reliance on fossil fuel extraction and export generally perform poorly on the GGEI, with a few exceptions. Kuwait, Qatar, Saudi Arabia and Russia all perform poorly while Norway and Canada do much better. Rapidly growing economies, China and India continue to show performance weakness on the GGEI Markets & Investment dimension. Given the large investment required to achieve their climate targets, green investment promotion, cleantech innovation, and corporate sustainability should be developed further. The United States ranks near the top of the GGEI perception survey and it is widely viewed as a vital market for green investment and innovation, yet overall the U.S. continues to have mediocre performance results, ranking 30th of the 80 countries covered. However, the GGEI found that U.S. company-level initiatives to green supply chains and reduce carbon footprints are accelerating. Despite having a new prime minister, Australia continues to register a poor result on this new GGEI, ranking 55th of the 80 countries covered for performance. While green markets there are showing some strength, the overall carbon intensity of the Australian economy remains extremely high. Hosting the annual Conference of Parties (COP) can positively impact the host country’s green brand. Yet this short-term image boost does not always translate to improved green performance in the longer-term, as demonstrated by the low GGEI performance results for Poland (COP19), Qatar (COP18) and South Africa (COP17). The United Kingdom’s GGEI performance continues to lag behind its EU peers, ranking 25th of the 80 countries covered. While the UK does very well on both the perception and performance side of the Markets & Investment dimension, inconsistent policies supporting renewable energy and green growth continue to hurt the UK on other parts of the GGEI. India’s waste-to-energy sector, which kicked off in 1987, is still searching for a successful role model, even after tens of millions of dollars of investment. In recent years, many ambitious waste-to-energy projects have been established or are being planned in different parts of the country, and it is hoped that things will brighten up in the coming years. Salman Zafar, CEO of BioEnergy Consult, talks to Power Today magazine on India’s tryst with waste-to-energy and highlights major challenges and obstacles in making waste-to-energy a success story in India. Power Today: What are the challenges that the Waste to Energy sector faces in the current scenario where there is a rejuvenated interest in clean energy? 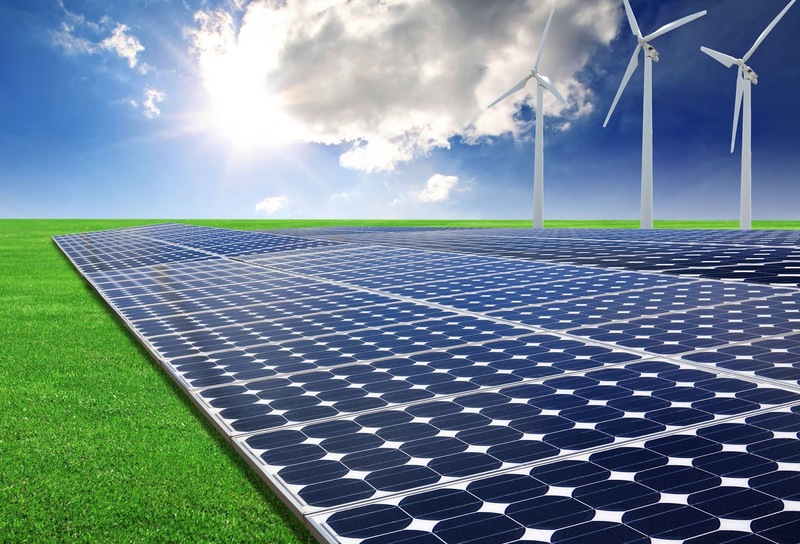 Do you think the buzz around solar and wind power has relegated the Waste to Energy sector to the back benches? lukewarm response of banks and financial institutions and (9) weak supply chain. Waste-to-energy is different from solar (or wind) as it essentially aims to reduce the colossal amount of solid wastes accumulating in cities and towns all over India. In addition to managing wastes, waste-to-energy has the added advantage of producing power which can be used to meet rapidly increasing energy requirements of urban India. In my opinion, waste-to-energy sector has attracted renewed interest in the last couple of years due to Swachch Bharat Mission, though government’s heavy focus on solar power has impacted the development of waste-to-energy as well as biomass energy sectors. Power Today: India has a Waste to Energy potential of 17,000 MW, of which only around 1,365 MW has been realised so far. How much growth do you expect in the sector? Salman Zafar: As per Energy Statistics 2015 (refer to http://mospi.nic.in/Mospi_New/upload/Energy_stats_2015_26mar15.pdf), waste-to-energy potential in India is estimated to be 2,556 MW, of which approximately 150 MW (around 6%) has been harnessed till March 2016. The progress of waste-to-energy sector in India is dependent on resolution of MSW supply chain issues, better understanding of waste management practices, lowering of technology costs and flexible financial model. For the next two years, I am anticipating an increase of around 75-100 MW of installed capacity across India. Power Today: On the technological front, what kinds of advancements are happening in the sector? Salman Zafar: Nowadays, advanced thermal technologies like MBT, thermal depolymerisation, gasification, pyrolysis and plasma gasification are hogging limelight, mainly due to better energy efficiency, high conversion rates and less emissions. Incineration is still the most popular waste-to-energy technology, though there are serious emission concerns in developing countries as many project developers try to cut down costs by going for less efficient air pollution control system. 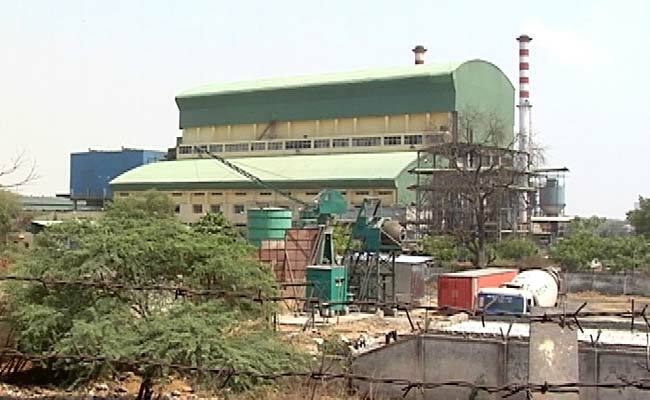 Power Today: What according to you, is the general sentiment towards setting up of Waste to Energy plants? Do you get enough cooperation from municipal bodies, since setting up of plants involves land acquisition and capital expenditure? Salman Zafar: Waste-to-energy projects, be it in India or any other developing country, is plagued by NIMBY (not-in-my-backyard) effect. The general attitude towards waste-to-energy is that of indifference resulting in lukewarm public participation and community engagement in such projects. Lack of cooperation from municipalities is a major factor in sluggish growth of waste-to-energy sector in India. It has been observed that sometimes municipal officials connive with local politicians and ‘garbage mafia’ to create hurdles in waste collection and waste transport. Supply of poor quality feedstock to waste-to-energy plants by municipal bodies has led to failure of several high-profile projects, such as 6 MW MSW-to-biogas project in Lucknow, which was shut down within a year of commissioning due to waste quality issues. Power Today: Do you think that government policies are in tandem when it comes to enabling this segment? What policies need to be changed, evolved or adopted to boost this sector? Salman Zafar: A successful waste management strategy demands an integrated approach where recycling and waste-to-energy are given due importance in government policies. Government should strive to setup a dedicated waste-to-energy research centre to develop a lost-cost and low-tech solution to harness clean energy from millions of tons of waste generated in India. The government is planning many waste-to-energy projects in different cities in the coming years which may help in easing the waste situation to a certain extent. However, government policies should be inclined towards inclusive waste management, whereby the informal recycling community is not robbed of its livelihood due to waste-to-energy projects. Government should also try to create favourable policies for establishment of decentralized waste-to-energy plants as big projects are a logistical nightmare and more prone to failure than small-to-medium scale venture. China is the world’s largest MSW generator, producing as much as 175 million tons of waste every year. With a current population surpassing 1.37 billion and exponential trends in waste output expected to continue, it is estimated that China’s cities will need to develop an additional hundreds of landfills and waste-to-energy plants to tackle the growing waste management crisis. 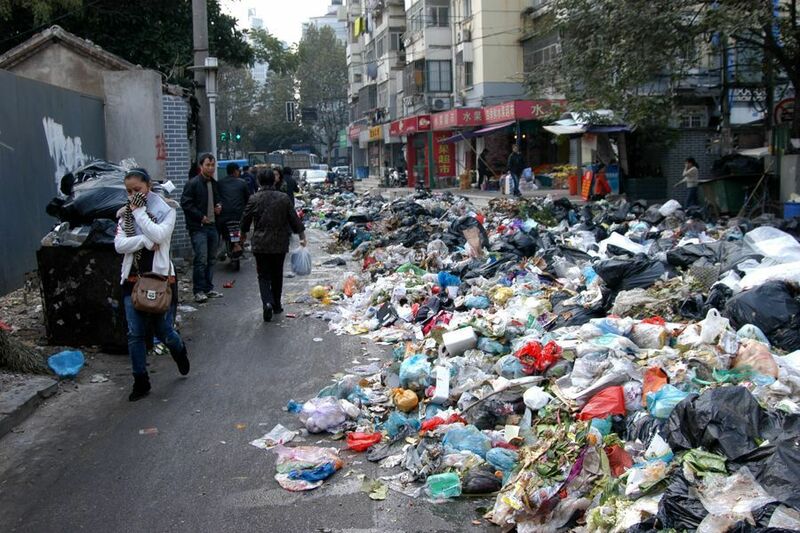 China’s three primary methods for municipal waste management are landfills, incineration, and composting. Nevertheless, the poor standards and conditions they operate in have made waste management facilities generally inefficient and unsustainable. For example, discharge of leachate into the soil and water bodies is a common feature of landfills in China. 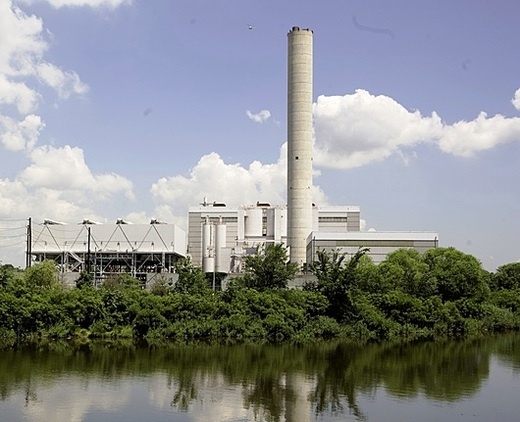 Although incineration is considered to be better than landfills and have grown in popularity over the years, high levels of toxic emissions have made MSW incineration plants a cause of concern for public health and environment protection. Salman Zafar, a renowned waste management, waste-to-energy and bioenergy expert was interviewed to discuss waste opportunities in China. As Mr. Zafar commented on the current problems with these three primary methods of waste management used by most developing countries, he said, “Landfills in developing countries, like China and India, are synonymous with huge waste dumps which are characterized by rotting waste, spontaneous fires, toxic emissions and presence of rag-pickers, birds, animals and insects etc.” Similarly, he commented that as cities are expanding rapidly worldwide, it is becoming increasingly difficult to find land for siting new landfills. On incineration, Zafar asserted that this type of waste management method has also become a controversial issue due to emission concerns and high technology costs, especially in developing countries. Many developers try to cut down costs by going for less efficient air pollution control systems”. Mr. Zafar’s words are evident in the concerns reflected in much of the data ­that waste management practices in China are often poorly monitored and fraudulent, for which data on emission controls and environmental protection is often elusive. Similarly, given that management of MSW involves the collection, transportation, treatment and disposal of waste, Zafar explains why composting has also such a small number relative to landfills for countries like China. He says, “Composting is a difficult proposition for developing countries due to absence of source-segregation. Organic fraction of MSW is usually mixed with all sorts of waste including plastics, metals, healthcare wastes and industrial waste which results in poor quality of compost and a real risk of introduction of heavy metals into agricultural soils.” Given that China’s recycling sector has not yet developed to match market opportunities, even current treatment of MSW calls for the need of professionalization and institutionalization of the secondary materials industry. While MSW availability is not an issue associated with the potential of the resource given its dispersion throughout the country and its exponential increase throughout, around 50 percent of the studies analyzed stated concerns for the high moisture content and low caloric value of waste in China, making it unattractive for WTE processes. Talking about how this issue can be dealt with, Mr. Zafar commented that a plausible option to increase the calorific value of MSW is to mix it with agricultural residues or wood wastes. 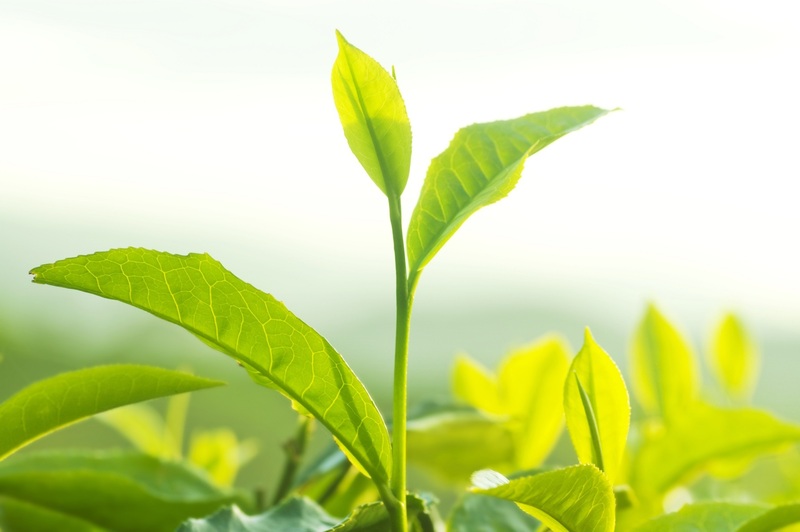 Thus, the biomass resources identified in most of the studies as having the greatest potential are not only valuable individually but can also be processed together for further benefits. Among the major challenges on the other hand, were insufficient or elusive data, poor infrastructure, informal waste collection systems and the lack of laws and regulations in China for the industry. Other challenges included market risk, the lack of economic incentives and the high costs associated with biomass technologies. Nevertheless, given that the most recurring challenges cited across the data were related to infrastructure and laws and regulations, it is evident that China’s biomass policy is in extreme need of reform. China’s unsustainable management of waste and its underutilized potential of MSW feedstock for energy and fuel production need urgent policy reform for the industry to develop. Like Mr. Zafar says, “Sustainable waste management demands an integration of waste reduction, waste reuse, waste recycling, and energy recovery from waste and landfilling. It is essential that China implements an integrated solid waste management strategy to tackle the growing waste crisis”. China’s government will play a key role in this integrated solid waste management strategy. Besides increased cooperation efforts between the national government and local governments to encourage investments in solid waste management from the private sector and foster domestic recycling practices, first, there is a clear need to establish specialized regulatory agencies (beyond the responsibilities of the State Environmental Protection Administration and the Ministry of Commerce) that can provide clearer operating standards for current WTE facilities (like sanitary landfills and incinerators) as well as improve the supervision of them. Without clear legal responsibility assigned to specialized agencies, pollutant emissions and regulations related to waste volumes and operating conditions may continue to be disregarded. Similarly, better regulation in MSW management for efficient waste collection and separation is needed to incentivize recycling at the individual level by local residents in every city. Recycling after all is complementary to waste-to-energy, and like Salman Zafar explains, countries with the highest recycling rates also have the best MSW to energy systems (like Germany and Sweden). Nevertheless, without a market for reused materials, recycling will take longer to become a common practice in China. 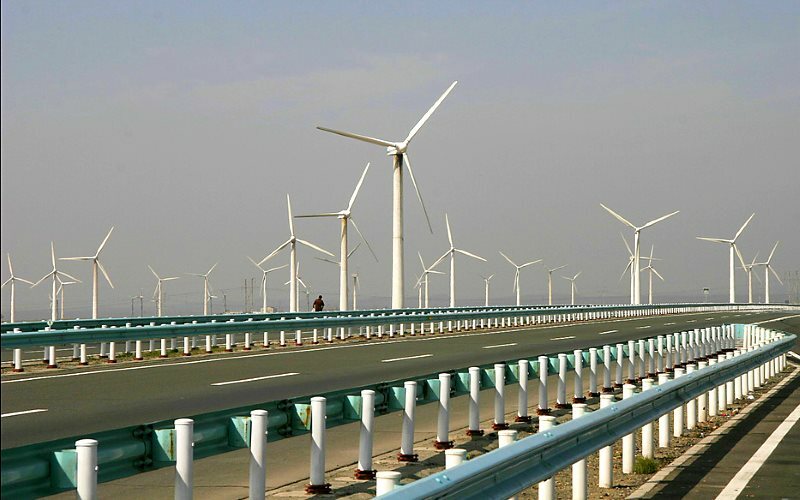 As Chinese authorities will not be able to stop the waste stream from growing but can reduce the rate of growth, the government’s role in promoting waste management for energy production and recovery is of extreme importance. For the first time in the history of India, the year 2012 saw several public protests against improper solid waste management all across India – from the northernmost state Jammu and Kashmir to the southernmost Tamil Nadu. A fight for the right to clean environment and environmental justice led the people to large scale demonstrations, including an indefinite hunger strike and blocking roads leading to local waste handling facilities. Improper waste management has also caused a Dengue Fever outbreak and threatens other epidemics. In recent years, waste management has been the only other unifying factor leading to public demonstrations all across India, after corruption and fuel prices. Public agitation resulted in some judicial action and the government’s remedial response, but the waste management problems are still unsolved and might lead to a crisis if this continues for too long without any long term planning and policy reforms. The President of Vilappilsala Village Panchayat went on a hunger strike recently, against her counterpart, the Mayor of Thiruvananthapuram. Thiruvananthapuram is the state capital of Kerala, and Vilappilsala is a village 22 km away. Since July 2000, about 80% of the waste generated in Thiruvananthapuram is being transported to a waste composting plant and a dumpsite in Vilappilsala village. Since the same month, respiratory illnesses reported in Vilappil Primary Health Center increased by 10 times from an average of 450 to 5,000 cases per month. People who used to regularly swim in the village’s aquifer started contracting infections; swarms of flies have ever since been pervasive; and a stigma of filth affected households throughout the community. This was a source of frustration as locals who, as Indians, prize the opportunity to feed and host guests, found them unwilling to even drink a glass of water in their homes. Currently, there is not a single household which has not experienced respiratory illnesses due to the waste processing plant and the adjoining dumpsite. On the other hand, Thiruvananthapuram’s residents had to sneak out at night with plastic bags full of trash to dispose them behind bushes, on streets or in water bodies, and had to openly burn heaps of trash every morning for months. This was because the waste generated was not being collected by the City as it could not force open the composting plant and dumpsite against large scale protests by Vilappilsala’s residents. This is why in August – 2012, about 2,500 police personnel had to accompany trucks to the waste treatment plant as they were being blocked by local residents lying down on the road, and by some, including the village’s President, by going on an indefinite hunger strike. 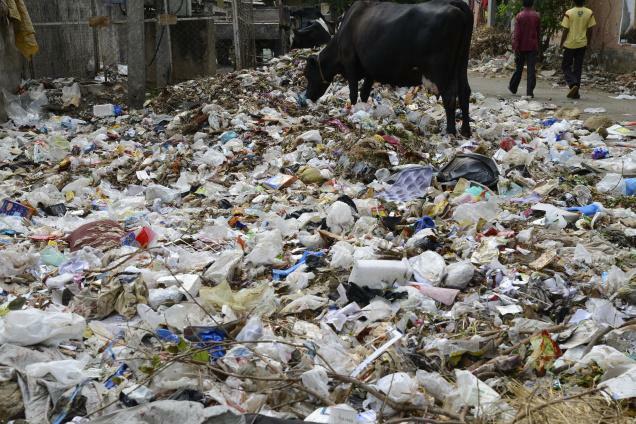 In response to a similar situation in Bengaluru, the state capital of Karnataka, where the streets were rotting with piles of garbage for months, the municipal commissioner of the city was replaced to specifically address the waste management situation. Against the will of local residents, a landfill which was closed following the orders issued by the state’s pollution control board in response to public agitation had to be reopened soon after its closure as the city could not find a new landfill site. 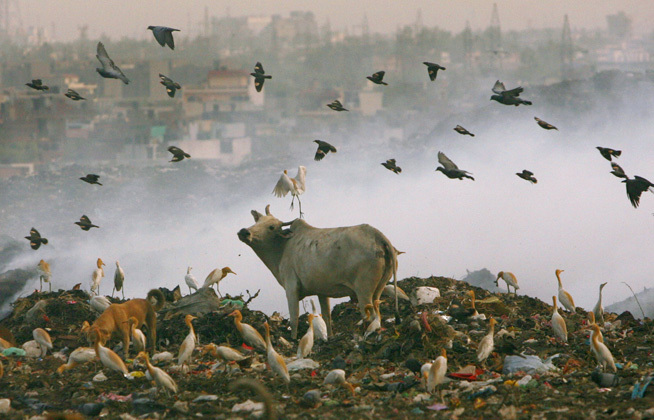 Population density and the scale of increasing urban sprawl in India make finding new landfill sites around cities nearly impossible due to the sheer lack of space for Locally Unwanted Land Uses (LULUs) like waste management. Even if partially because of improper waste management, Kolkata, state capital of West Bengal and the third biggest city in India experienced a Dengue Fever outbreak with 550 confirmed cases and 60 deaths. This outbreak coincides with a 600% increase in dengue cases in India and 71% increase in malarial cases in Mumbai in the last five years. Accumulation of rain water in non biodegradable waste littered around a city act as a major breeding environment for mosquitoes, thus increasing the density of mosquito population and making the transmission of mosquito related diseases like dengue, yellow fever and malaria easier. Rabies due to stray dog bites already kills more than 20,000 people in India every year. Improper waste management has caused a 1:13 stray dog to human ratio in Srinagar (compared to 1 per 31 people in Mumbai and 1 per 100 in Chennai), where 54,000 people were bitten by stray dogs in a span of 3.5 years. Municipal waste on streets and at the dumpsite is an important source of food for stray dogs. The ultimate solution to controlling stray dogs is proper waste management. The public has been protesting about this stray dog menace for months now with no waste management solutions in sight, but only partial short term measures like dog sterilization. Out of all the measures that are necessary in addressing India’s impending waste management crisis, the most efficient will be changes at the national policy and planning level. It is well-known among the small but growing waste management sector that urban India will hit rock bottom due to improper waste management. Unfortunately, they think such a crisis is required to bring about policy changes, as they generally tend to happen only after the damage has been done. This attitude is unfortunate because it indicates a lack of or failed effort from the sector to change policy, and also the level of India’s planning and preparedness. An average of 32,000 people will be added to urban India every day, continuously, until 2021. This number is a warning, considering how India’s waste management infrastructure went berserk trying to deal with just 25,000 new urban Indians during the last decade. The scale of urbanization in India and around the world is unprecedented with planetary consequences to Earth’s limited material and energy resources, and its natural balance. Rate of increase in access to sanitation infrastructure generally lags behind the rate of urbanization by 33% around the world; however, the lack of planning and impromptu piecemeal responses to waste management issues observed in India might indicate a much wider gap. This means urban Indians will have to wait longer than an average urban citizen of our world for access to proper waste management infrastructure. The clear trend in the outbreak of epidemic and public protests around India is that they are happening in the biggest cities in their respective regions. Kolkata, Bengaluru, Thiruvananthapuram, and Srinagar are capitals of their respective states, and Coimbatore is the second largest city in Tamil Nadu. However, long term national level plans to improve waste management in India do not exist and guidance offered to urban local bodies is meager. Apart from the Jawaharlal Nehru National Urban Renewal Mission (JnNURM), there has been no national level effort required to address the problem. Even though JnNURM was phenomenal in stimulating the industry and local governments, it was not enough to address the scale and extent of the problem. This is because of JnNURM is not a long term waste management financing program, sorts of which are required to tackle issues like solid waste management. Are Cities Hands-tied or is Change Possible? In the short term, municipal corporations have their hands tied and will not be able to deliver solutions immediately. They face the task of realizing waste management facilities inside or near cities while none of their citizens want them near their residences. 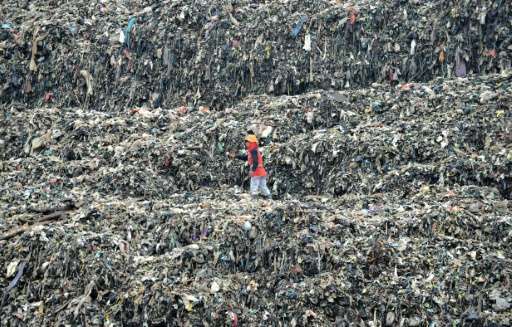 Officials of Hyderabad’s municipal corporation have been conducting interviews with locals for about eight years now for a new landfill site, to no avail. In spite of the mounting pressure, most corporations will not be able to close the dumpsites that they are currently using. This might not be the good news for which local residents could be waiting, but, it is important that bureaucrats, municipal officials and politicians be clear about it. Residents near Vellalore dump protested and blocked roads leading to the site because Coimbatore municipal officials repeatedly failed to fulfill their promises after every landfill fire incident. Due to lack of existing alternatives, other than diverting waste fractionally by increasing informal recycling sector’s role, closing existing landfills would mean finding new sites. 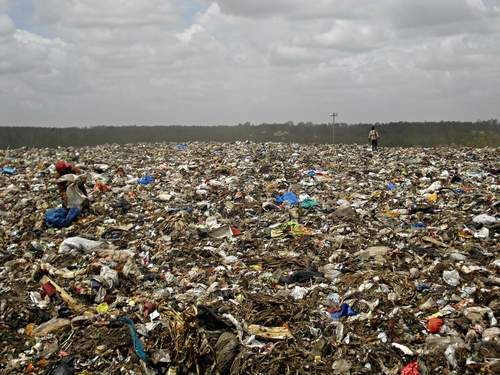 Finding new landfills in and around cities is nearly impossible because of the track record of dumpsite operations and maintenance in India and the Not in My Backyard (NIMBY) phenomenon. However, the corporations can and should take measures to reduce landfill fires and open burning, and control pollution due to leachate and odor and vector nuisance. This will provide much needed relief to adjacent communities and give the corporations time to plan better. While navigating through an issue as sensitive this, it is of the utmost importance that they work closely with the community by increasing clarity and transparency. Municipal officials at the meeting repeatedly stressed the issue of scarcity of land for waste disposal, which led to overflowing dumpsites and waste treatment facilities receiving more waste than what they were designed for. Most municipal officials are of the sense that a magic solution is right around the corner which will turn all of their city’s waste into electricity or fuel oil or gas, or into recycled products. While such conversion is technologically possible with infinite energy and financial sources, that is not the reality. Despite their inability to properly manage wastes, the majority of municipal officials consider waste as “wealth” when approached by private partners. Therefore, a significant portion of officials expect royalty from private investments without sharing business risk. The Government of India approved the National Policy on Biofuels in December 2009. The biofuel policy encouraged the use of renewable energy resources as alternate fuels to supplement transport fuels (petrol and diesel for vehicles) and proposed a target of 20 percent biofuel blending (both biodiesel and bioethanol) by 2017. 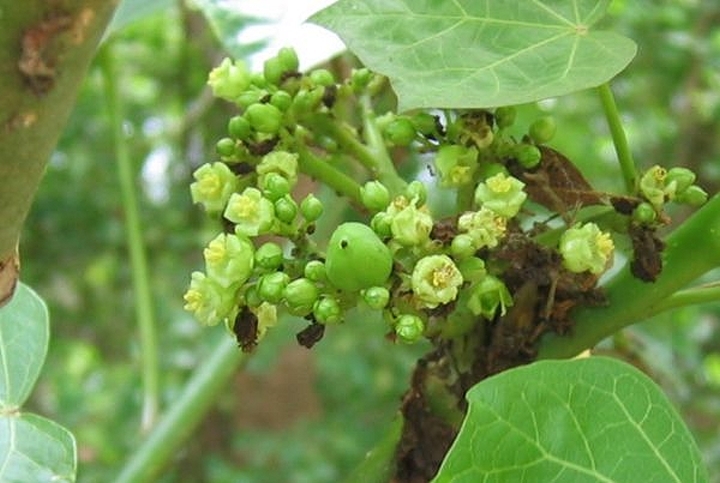 The government launched the National Biodiesel Mission (NBM) identifying Jatropha curcas as the most suitable tree-borne oilseed for biodiesel production. The Planning Commission of India had set an ambitious target covering 11.2 to 13.4 million hectares of land under Jatropha cultivation by the end of the 11th Five-Year Plan. The central government and several state governments are providing fiscal incentives for supporting plantations of Jatropha and other non-edible oilseeds. Several public institutions, state biofuel boards, state agricultural universities and cooperative sectors are also supporting the biofuel mission in different capacities. The biodiesel industry in India is still in infancy despite the fact that demand for diesel is five times higher than that for petrol. The government’s ambitious plan of producing sufficient biodiesel to meet its mandate of 20 percent diesel blending by 2012 was not realized due to a lack of sufficient Jatropha seeds to produce biodiesel. Currently, Jatropha occupies only around 0.5 million hectares of low-quality wastelands across the country, of which 65-70 percent are new plantations of less than three years. Several corporations, petroleum companies and private companies have entered into a memorandum of understanding with state governments to establish and promote Jatropha plantations on government-owned wastelands or contract farming with small and medium farmers. 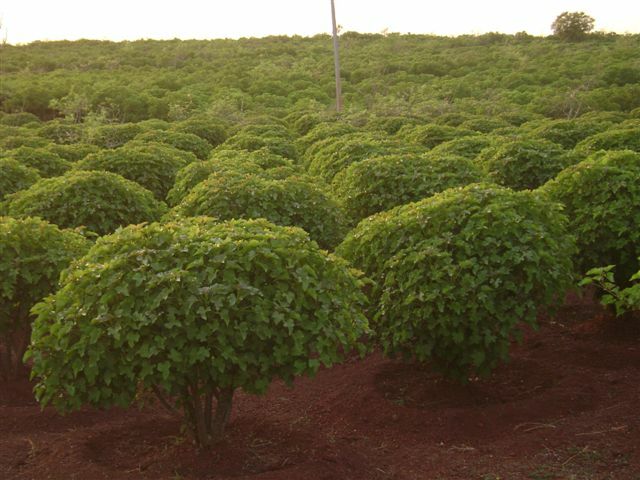 However, only a few states have been able to actively promote Jatropha plantations despite government incentives. The unavailability of sufficient feedstock and lack of R&D to evolve high-yielding drought tolerant Jatropha seeds have been major stumbling blocks. In addition, smaller land holdings, ownership issues with government or community-owned wastelands, lackluster progress by state governments and negligible commercial production of biodiesel have hampered the efforts and investments made by both private and public sector companies. The non-availability of sufficient feedstock and lack of R&D to evolve high-yielding drought tolerant Jatropha seeds have been major stumbling blocks in biodiesel program in India. In addition, smaller land holdings, ownership issues with government or community-owned wastelands, lackluster progress by state governments and negligible commercial production of biodiesel have hampered the efforts and investments made by both private and public sector companies. Another major obstacle in implementing the biodiesel programme has been the difficulty in initiating large-scale cultivation of Jatropha. The Jatropha production program was started without any planned varietal improvement program, and use of low-yielding cultivars made things difficult for smallholders. The higher gestation period of biodiesel crops (3–5 years for Jatropha and 6–8 years for Pongamia) results in a longer payback period and creates additional problems for farmers where state support is not readily available. The Jatropha seed distribution channels are currently underdeveloped as sufficient numbers of processing industries are not operating. There are no specific markets for Jatropha seed supply and hence the middlemen play a major role in taking the seeds to the processing centres and this inflates the marketing margin. Biodiesel distribution channels are virtually non-existent as most of the biofuel produced is used either by the producing companies for self-use or by certain transport companies on a trial basis. Further, the cost of biodiesel depends substantially on the cost of seeds and the economy of scale at which the processing plant is operating. The lack of assured supplies of feedstock supply has hampered efforts by the private sector to set up biodiesel plants in India. In the absence of seed collection and oil extraction infrastructure, it becomes difficult to persuade entrepreneurs to install trans-esterification plants. Waste-to-Energy is the use of modern combustion and biochemical technologies to recover energy, usually in the form of electricity and steam, from urban wastes. These new technologies can reduce the volume of the original waste by 90%, depending upon composition and use of outputs. The main categories of waste-to-energy technologies are physical technologies, which process waste to make it more useful as fuel; thermal technologies, which can yield heat, fuel oil, or syngas from both organic and inorganic wastes; and biological technologies, in which bacterial fermentation is used to digest organic wastes to yield fuel. The global market for waste-to-energy technologies was valued at US$6.2bn in 2012 which is forecasted to increase to US$29.2bn by 2022. While the biological WTE segment is expected to grow more rapidly from US$1.4bn in 2008 to approximately US$2.5bn in 2014, the thermal WTE segment is estimated to constitute the vast bulk of the entire industry’s worth. This segment was valued at US$18.5bn in 2008 and is forecasted to expand to US$23.7bn in 2014. The global market for waste to energy technologies has shown substantial growth over the last five years, increasing from $4.83 billion in 2006, to $7.08 billion in 2010 with continued market growth through the global economic downturn. Over the coming decade, growth trends are expected to continue, led by expansion in the US, European, Chinese, and Indian markets. By 2021, based on continued growth in Asian markets combined with the maturation of European waste management regulations and European and US climate mitigation strategies, the annual global market for waste to energy technologies will exceed $27 billion, for all technologies combined. 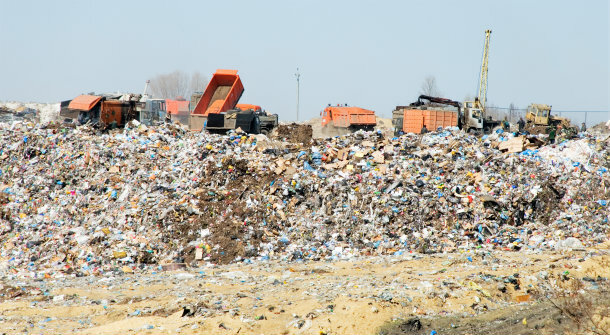 Asia-Pacific’s waste-to-energy market will post substantial growth by 2015, as more countries view the technology as a sustainable alternative to landfills for disposing waste while generating clean energy. In its new report, Frost & Sullivan said the industry could grow at a compound annual rate of 6.7 percent for thermal waste-to-energy and 9.7 percent for biological waste-to-energy from 2008 to 2015. The WTE market in Europe is forecasted to expand at an exponential rate and will continue to do so for at least the next 10 years. The continent’s WTE capacity is projected to increase by around 13 million tonnes, with almost 100 new WTE facilities to come online by 2012. In 2008, the WTE market in Europe consisted of approximately 250 players due in large to the use of bulky and expensive centralized WTE facilities, scattered throughout Western Europe. Healthcare sector is growing at a very rapid pace, which in turn has led to tremendous increase in the quantity of medical waste generation in developing countries, especially by hospitals, clinics and other healthcare establishments. The quantity of healthcare waste produced in a typical developing country depends on a wide range of factors and may range from 0.5 to 2.5 kg per bed per day. For example, India generates as much as 500 tons of biomedical wastes every day while Saudi Arabia produces more than 80 tons of healthcare waste daily. The growing amount of medical wastes is posing significant public health and environmental challenges across the world. The situation is worsened by improper disposal methods, insufficient physical resources, and lack of research on medical waste management. The urgent need of the hour is to healthcare sustainable in the real sense of the word. The greatest risk to public health and environment is posed by infectious waste (or hazardous medical waste) which constitutes around 15 – 25 percent of total healthcare waste. 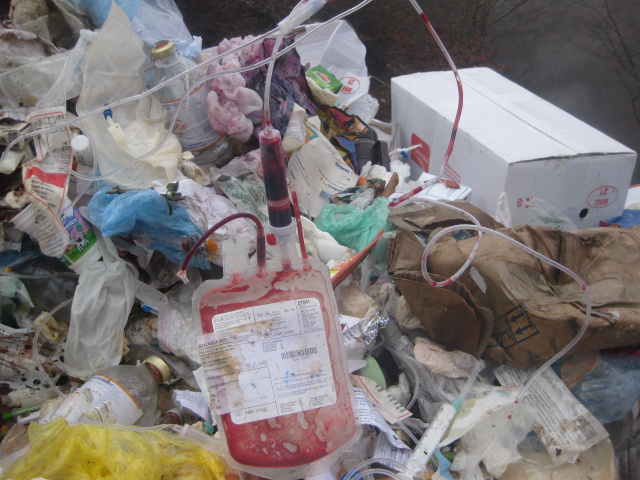 Infectious wastes may include items that are contaminated with body fluids such as blood and blood products, used catheters and gloves, cultures and stocks of infectious agents, wound dressings, nappies, discarded diagnostic samples, swabs, bandages, disposal medical devices, contaminated laboratory animals etc. Improper management of healthcare wastes from hospitals, clinics and other facilities in developing nations pose occupational and public health risks to patients, health workers, waste handlers, haulers and general public. It may also lead to contamination of air, water and soil which may affect all forms of life. In addition, if waste is not disposed of properly, ragpickers may collect disposable medical equipment (particularly syringes) and to resell these materials which may cause dangerous diseases. Inadequate healthcare waste management can cause environmental pollution, growth and multiplication of vectors like insects, rodents and worms and may lead to the transmission of dangerous diseases like typhoid, cholera, hepatitis and AIDS through injuries from syringes and needles contaminated with human. In addition to public health risks associated with poor management of biomedical waste, healthcare wastes can have deleterious impacts on water bodies, air, soil as well as biodiversity. The situation is further complicated by harsh climatic conditions in many developing nations which makes disposal of medical waste more challenging. 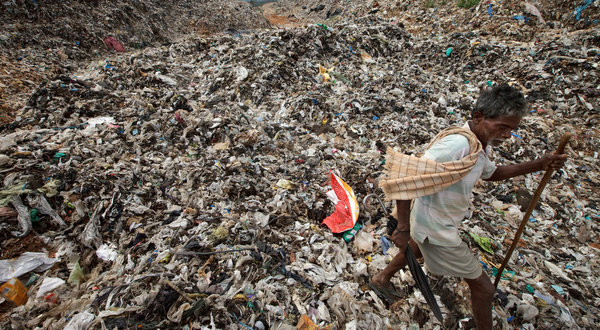 The predominant medical waste management method in the developing world is either small-scale incineration or landfilling. However, the WHO policy paper of 2004 and the Stockholm Convention, has stressed the need to consider the risks associated with the incineration of healthcare waste in the form of particulate matter, heavy metals, acid gases, carbon monoxide, organic compounds, pathogens etc. In addition, leachable organic compounds, like dioxins and heavy metals, are usually present in bottom ash residues. Due to these factors, many industrialized countries are phasing out healthcare incinerators and exploring technologies that do not produce any dioxins. Countries like United States, Ireland, Portugal, Canada and Germany have completely shut down or put a moratorium on medical waste incinerators. The alternative technologies for healthcare waste disposal are steam sterilization, advanced steam sterilization, microwave treatment, dry heat sterilization, alkaline hydrolysis, biological treatment and plasma gasification. Nowadays, steam sterilization (or autoclaving) is the most common alternative treatment method. Steam sterilization is done in closed chambers where both heat and pressure are applied over a period of time to destroy all microorganisms that may be present in healthcare waste before landfill disposal. Among alternative systems, autoclaving has the lowest capital costs and can be used to process up to 90% of medical waste, and are easily scaled to meet the needs of any medical organization. Advanced autoclaves or advanced steam treatment technologies combine steam treatment with vacuuming, internal mixing or fragmentation, internal shredding, drying, and compaction thus leading to as much as 90% volume reduction. Advanced steam systems have higher capital costs than standard autoclaves of the same size. However, rigorous waste segregation is important in steam sterilization in order to exclude hazardous materials and chemicals from the waste stream. Microwave treatment is a promising technology in which treatment occurs through the introduction of moist heat and steam generated by microwave energy. A typical microwave treatment system consists of a treatment chamber into which microwave energy is directed from a microwave generator. Microwave units generally have higher capital costs than autoclaves, and can be batch or semi-continuous. Chemical processes use disinfectants, such as lime or peracetic acid, to treat waste. Alkaline digestion is a unique type of chemical process that uses heated alkali to digest tissues, pathological waste, anatomical parts, or animal carcasses in heated stainless steel tanks. Biological processes, like composting and vermicomposting, can also be used to degrade organic matter in healthcare waste such as kitchen waste and placenta. Plasma gasification is an emerging solution for sustainable management of healthcare waste. A plasma gasifier is an oxygen-starved reactor that is operated at the very high temperatures which results in the breakdown of wastes into hydrogen, carbon monoxide, water etc. The main product of a plasma gasification plant is energy-rich syngas which can be converted into heat, electricity and liquids fuels. Inorganic components in medical wastes, like metals and glass, get converted into a glassy aggregate.